This was bought in used condition and never messed about with. The metal work still has all the original GPO black finish. 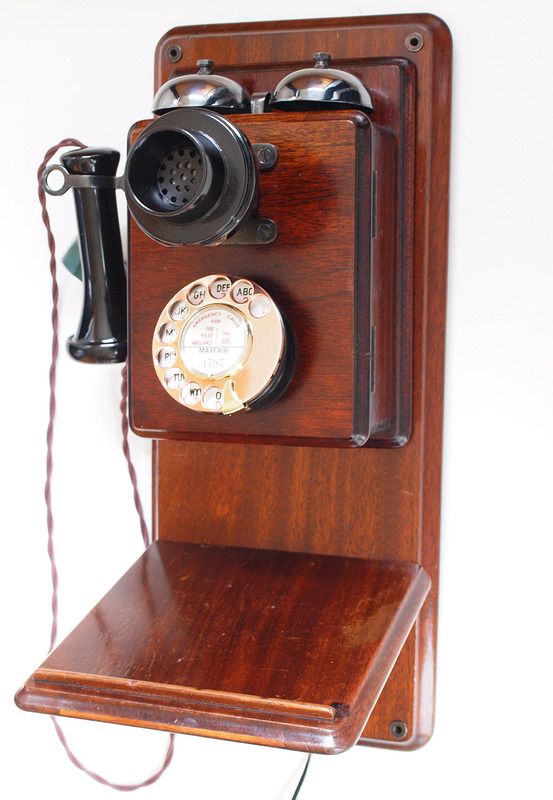 This telephone has been stripped down and rebuilt after each part has been cleaned and if necessary polished. 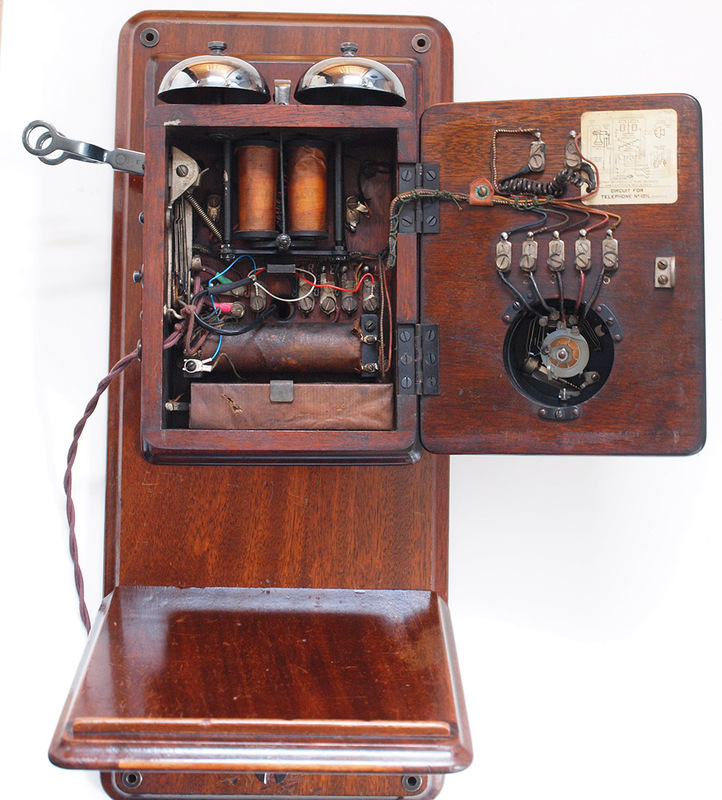 Nothing needed to be replaced and even the GPO No10 dial with solid copper finger dial was still still in place. The enamel face dial has some whare to some numbers but if you want this replaced add a note in the the cheque out and I will replace for with another. The wood work was very good but has some signs of use. I decided to keep it with these marks and have had it French polished over them. 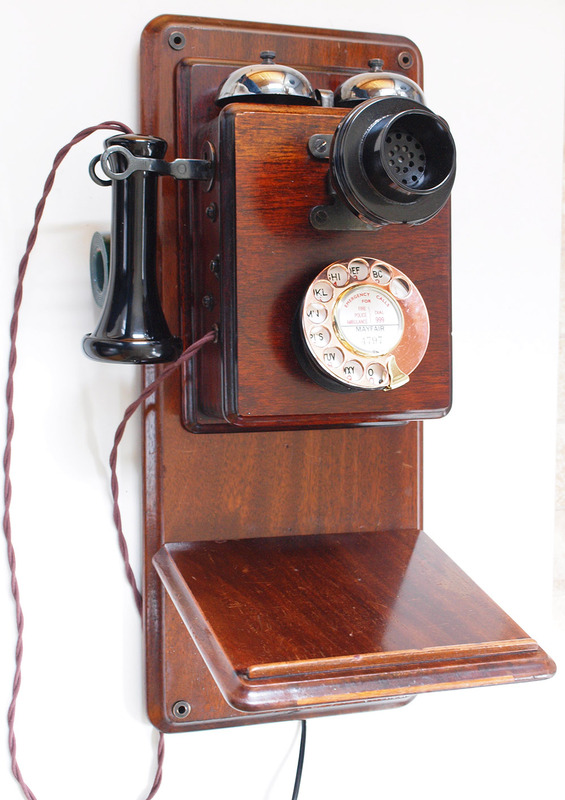 It looks stunning and totally original other than an electronic microphone and a plastic line in with a UK telephone plug socket. 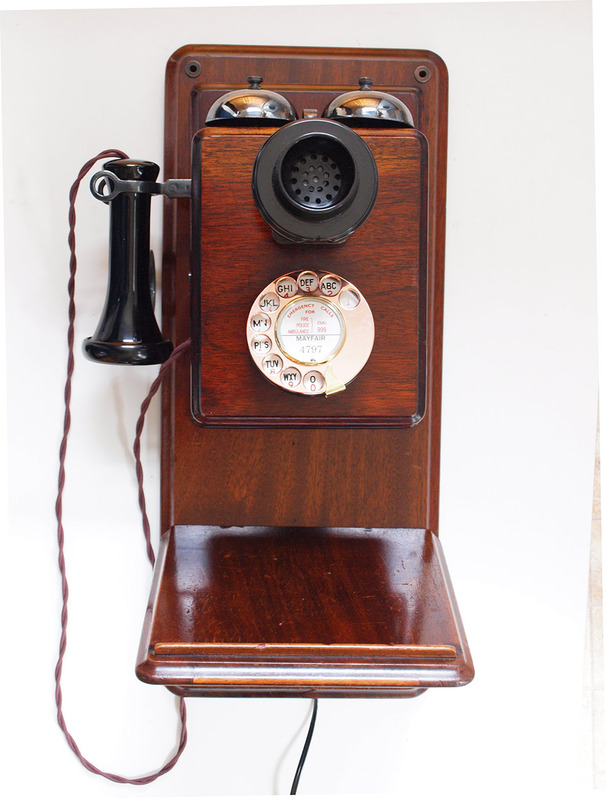 This telephone is ready to plug in and go and works perfectly. I have kept the original carbon microphone in a bag which can be supplied if wanted. I can make a dial label with your own information at no extra charge.